Mary is without doubt the most honored woman in the Church as the mother of Christ our God and the very model of obedient love. She is the Mother of the Church and where the Church is, she is venerated. Through her God has fulfilled the first promise of Scripture: Genesis 3:15, the Edenic Promise. She is the culmination of the expectation that led the ruler-priest lines to intermarry exclusively so that the Promised Son would be born of their blood lines. Analysis of the kinship pattern of Abraham's people reveals a unique pattern of intermarriage between patrilineal cousins of priestly lines. It is possible to trace these lines because the cousin brides named their first-born sons after their fathers. The genealogies of Genesis trace only male rulers. The naming of the first-born son after the cousin bride's father was a way to trace royal lineage on the mother's side. Keep in mind that kinship patterns are highly resistant to change. The unique kinship pattern of ruler-priests survived Egyptian captivity and deportation to Babylon. It continued afterwards as we see in the case of the priest Elkaniah with his two wives (1 Samuel 1:2). It continued to the time of Jesus and then stopped because the pattern had fulfilled its purpose once Messiah was born. Mary and Joseph were cousins and both of priestly lines. These lines had been intermarrying from before Abraham's time and continued to intermarry until to the birth of Jesus Christ. Joseph's family lived in Nazareth which was the home of the eighteenth division of priests, that of Happizzez (1 Chronicles 24:15). Abraham's people traced bloodline through the mother but social status and occupation was inherited through the father. So Joseph was a carpenter like his father and Jesus was a carpenter like Joseph. Likewise, St. Paul was a tent maker like his father. Jesus was the Son of God, born to "the Woman" according to the ancient expectation (Gen. 3:15). Mary was the proper bride for Joseph since she was of a priestly line. He too was of a priestly line descending from Judah and Ram, David's ancestors. Joseph of Nazareth married the daughter of a priest. In doing so he simply adhered to the custom of his ancestors. Joseph married the daughter of a priest in Egypt and Moses married the daughter of a priest in Midian. All of these priests are related, though they lived in different places at different times. The marriage of Joseph and Mary was the pinnacle of biblical history in that the Promised Son was born into their union, but not by their union. From God, the Son received his divine rights (being one with the Father), from Blessed Mary He received His flesh, and from Blessed Joseph He received his social position as a carpenter in Nazareth. Mary is said to have been born in the grotto under the Church of St. Anne which would have been adjacent to the Temple, in an area where the Temple priests lived. It is certain that Mary was of the ruler-priest class because even those who hated her admit this. Sanhedrin 106a says Jesus' mother was a whore: “She who was the descendant of princes and governors played the harlot with carpenters.” It is said that she was so despised that some Jews tried to prevent the Apostles from burying her body. One of the Jews seized the coffin. A rabbi approached her burial procession and attempted to overturn her casket. In the Talmud, ignominious names are given by the rabbis to Mary and be Son. Mary is called "Charia" which means dung or excrement. In Hebrew her name is Miriam. Jesus is called "Jeschu" which means May his name and memory be blotted out. His Hebrew name in Jeschua (Yeshua) which means Salvation. That Mary was hated as much as her Son tells us that she was a force to be reckoned with, a person of great influence. She was abused in her repose as was her Son in his passion and God has granted her an exalted place among the saints. May God have mercy upon those who hate and abuse Jesus the Christ and his most blessed, most pure, and most honorable Mother. Do you know at what point did the ancestors of Jesus stop having two wives? Nehemiah 3:14 The Dung Gate was repaired by Malkijah son of Recab, ruler of the district of Beth Hakkerem. He rebuilt it and put its doors and bolts and bars in place. Isn't Hakkerim the Ein Karem of Mary's Spring? Mary was related to Zachariah who was a temple priest. Zachariah resided in Ein Karem during his temple rotation and then returned to his home in Hammath which is in Galilee. Ein Karem is translated as spring of vineyard. Could Karem be derived from Khar? Angela, it is difficult to say exactly when the ruler-priests stopped having two wives. Ezra (5th century B.C.) commanded fulfillment of the right of primogenitor, instructing that if a man had two wives and one was loved and the other unloved and the unloved one gave birth to the first son, that son would remain favored as the first son. Tobit (3rd century B.C.) had two wives. We can say, however, that the unique kinship pattern that we find in the Bible for ruler-priests didn't survive the destruction of the Temple by the Romans in 70 A.D. Yes, Ha'Karem (Hakkerim)is likely Ein Karem and the association of Ha'Karem with the dung gate is probably the basis for this slur of Mother and Son. It also suggests that the priests from Galilee were regarded as inferior to those from Judah because of their proximity to Gentiles. Perhaps also because such slurs against these Galileans were another way to discredit Jesus Messiah and the greatest prophet John the Baptist. 1. Mary was Joseph's second wife, and if that has any significance in preserving the priestly line. I'd also like to hear any thoughts about what this means for his half brothers, and their priestly obligations. 2. I believe (please correct me if I'm wrong) that Joseph "married" Mary swearing to keep her a virgin as her caretaker, way before she was found to be with child. At least on first glance, that oath seems to go against preserving the priestly line. Thanks for the teaching on Mary. The sinlessness of Mary and the feast of the Presentation are the biggest stumbling blocks to my exploring Orthodoxy, so the more I can learn, the better. Holy Tradition holds that Joseph had 2 wives and that Mary was the second wife. The Orthodox teach that Mary and Joseph were betrothed after Joseph was widowed and that he was considerably older. Jesus' brothers and sisters mentioned in Matthew 13:56 are believed to be Joseph's children by his first wife. The significance of having 2 wives is that this was essential for the patriarchs to establish their kingdoms. The wives lived in separate households on a north-south axis and their settlements marked the northern and southern boundaries of the ruler's territory. So this is about the Kingdom of God that is given to the Son of God. There was no need to preserve the priestly lines beyond Jesus since they existed to bring forth Messiah, the Great High Priest, the Priest after the order of Melchizedek, a Priest forever. Mary remained a virgin as this is the anointing she received. Her body became and will always be a holy shrine. There are women in the Bible whose stories form the pattern of Mary (Sarah, Hannah, Ruth), but they never fulfill every detail, so Mary is unique. For example, one of the most important women was Oholibamah, She is mentioned 6 times in Genesis! Her name means most high tent or tent shrine of the Most High. She married Esau (which name is a variant of Yeshua) and she was the mother of Korah the Elder. (Korah means shaved one. The priests shaved their bodies.) In other words, the Shrine Tent of the Most High bore the Priest from whose line David would be born. But there's more! This woman, like Mary had a mother named Ana. Oholibamah "housed" the seed of Messiah and her mother's name is Anah. This points to the Virgin Mary, whose womb became the tabernacle of the Most High God, and her mother’s name was Ana. I don't believe dogmatically that Orthodox hold that Mary was sinless. In other words, while many (most?) do hold this belief, it is not a Church dogma. However, within the Church's understanding of the fall and salvation, her living a sinless life does not actually equal her salvation (possibly contra Protestantism). 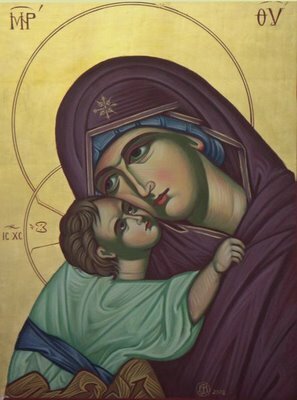 Without the incarnation, passion, resurrection, and ascension of her Son, she is doomed to mortality and thus can never fulfill her ultimate purpose of eternal life and voluntary union with God. She can will it (as her righteous life indicates), but she cannot effect it. For that she needs a savior, even if she is literally sinless. Regarding the Feast of the Presentation and similar things, it is a pious tradition. Quite frankly, while I personally believe in the events of the Portoevangelion of James (late 1st or early 2nd Century document which forms most of the basis of the history of the feast and is possibly but not necessarily intended to appear as if it was by St. James the Brother of God), Orthodoxy is not exactly committed to "historical accuracy" at all points. In other words, while we all agree that certain things (e.g. Jesus's life and saving ministry) must be mostly historically accurate in order to be true, there are other things which we are not as concerned about the total historical reliability of. Biblical genealogies can differ and still be historically accurate. This is evident in analysis of the Genesis genealogies. How do you suppose the ancestors of the Lord -- those who were intent on cooperating with God towards the fulfillment of the Gen. 3:15 prophetic word -- managed to arrive at the conclusion that they did on these matters: i.e. that the way their greatly hoped-for messianic prophecy would be accomplished, was by their marrying twice (according to the pattern that you have identified) and by their maintaining those two wives and two households on a north-south axis? By revelation, or by reason? Or by both? It would be easy to agree with you on the notion that polygamy might be a suitable means for ruler-priests to accomplish the purpose of establishing kingdom boundaries and such, as you have also established in this (and other) posts. It just continues to be a lot more difficult for me to apprehend the reasoning employed by the biblical patriarchs, so that they would observe this particular lifestyle, and that, they would elect to continue to do so up to the time of Jesus -- but not afterwards, because "the pattern had fulfilled its purpose once Messiah was born." 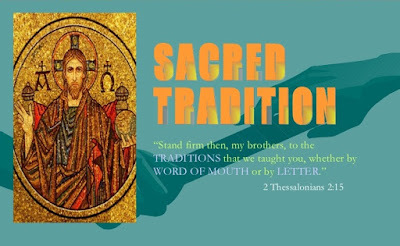 Have you identified any textual reference in the Scriptures, where the patriarchs were instructed to so pattern their secular lives in the pursuit of the Fulfillment of the Promise? And, when they stopped patterning their kinship and lines of descent that way, was it because of a specific given Revelation to the effect that, now that "its purpose" had been fulfilled, it was in good order to stop it? Your use of words like "lifestyle" and "secular" indicate that the problem may be that you are viewing Abraham's people through a modern rationalist lens. That does make it difficult to understand their faith that God would fulfill the Edenic Promise made to them. If it was indeed made to Abraham's ancestors then they had either to ignore it or cooperate with it, as Mary herself did by faith. The pattern of 2 wives for ruler-priests originates in Africa (which is also the point of origin of the priesthood and circumcision). Most Americans consider having 2 wives a moral issue; a wrong lifestyle. That would have been a foreign idea to Abraham and his ancestors. Did they come to decide on this specific kinship pattern rationally? They used reason in the ordering of their lives and households, but they also followed the tradition of their ancestors. This pattern suggests an extremely old tribal precedence. One wife was a patrilineal cousin or niece and the other was a half-sister. Clan endogamy is common among tribal or "first" peoples. It suggests great antiquity and it is indeed hard to understand something that old and that foreign. The good news is that we don't have to understand how they came to have that pattern. We only need to know that the promise was fulfilled in Jesus Christ and that He will restore us to paradise. I guess the 'hating' is perpetuated whenever some of our Protestant brethren take it upon themselves to downplay the human sonship of Christ through Mary, or denounce honour to Mary as 'Mariolatry'.